Olango was killed earlier this week in California. Alfred Olango was shot and killed by police this week in El Cajon, California. Police were called to a shopping center where they found an "erratic" Olango. It is now being reported by CNN that Olango was unarmed, he was holding a "vape device." Olango pointed the piece at the officers prompting one to fatally shoot him and one to use a taser. 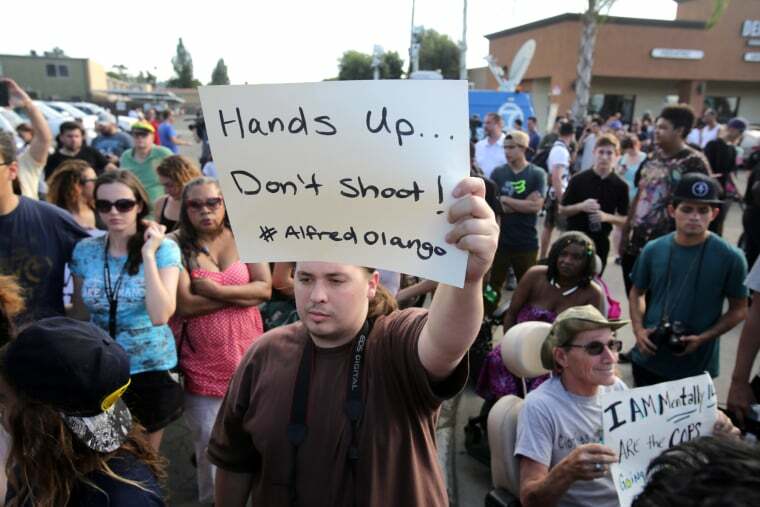 Protests have been ongoing the past two evenings in El Cajon since Olango's death.